The name “AmiGaTa” is combination of Spanish words “amiga” meaning “friend” and “gata” meaning “she-cat”, that's a kitten girl that can curl up snugly on your palm, though being a cat she may be as wilful, not always a nice obedient girl. Since the beginning Timur Zeleev had been the sculptor and concept designer of the project. Angry Cutie–being wonderful knitter, dressmaker and fashion designer–was co-author of outfits, and she also scultped a sixth girl face. Helirich was a regular photographer and web site coder and co-designer. AmiGaTa is a tiny ball jointed doll made of urethane resin. All six face moulds–Una, Dua, Tresa, Cuatra, Quinta and Sixta–are limited by number of 50. Each girl comes with an authenticity certificate with her release number and release date or collection, if she is full set. 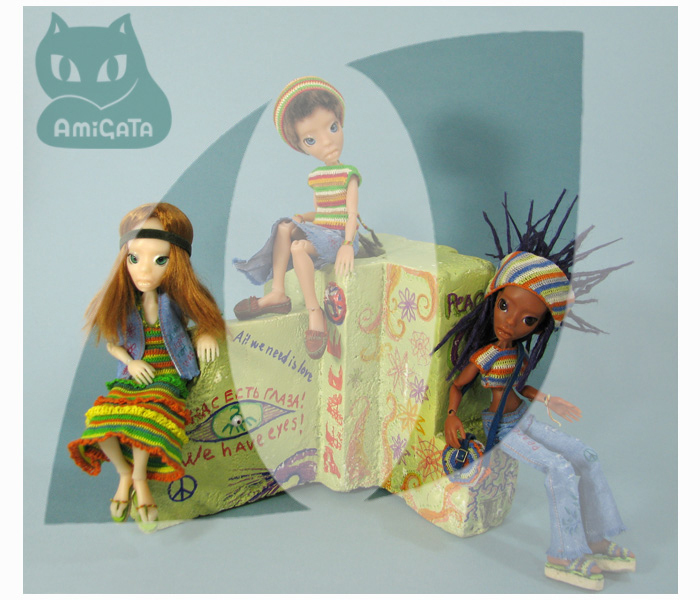 Male branch of the project is called “AmiGaTo” and was introduced during The Xth International Dolls Salon in Moscow in 2014. It included three boy moulds–Uno, Duo and Treso–each limited by 30. 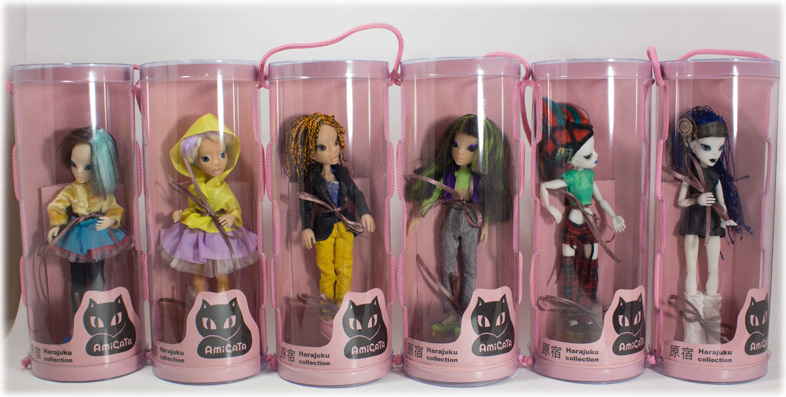 Each full set collection was released once with a few doll of different molds in it. First collections were Hippie and Harajuku ones, the next is dedicated to street sport activities and is named “Roller Skaters Collection”, followed by the one called “Backstreet” showing a teenager street fashion of American mixed blocks. In the spring of 2015 our girls and boys were hanging out in somber “Goth” clothing, and in the autumn we returned to Japanese theme attending a J-party in a night club. The winter cold brought a lot of snow and warm clothes to enjoy the winter sports activities. In the spring and summer of 2016 AmiGaTas returned to jogging, swimming, Aikido and other training activities. In the autumn we introduced two collections: the first studying a traditional Japapese tea ceremony and the last one, picturing a creepy post-apocalyptic world. We discontinued this project at the beginning of 2017. These four years were full of interesting work and funny ideas but other doll projects and formats are capturing our full attention now.